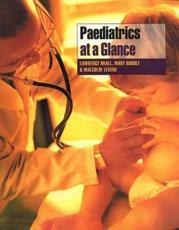 This text provides a useful aid as a revision book on paediatrics and as a guide for students preparing for the OSCE (objective structured clinical examination) part of examinations. Taking its approach from the community and primary care angle, the book provides information for the new curriculum requirements. It is laid out in 3 sections: Part 1 - The Paediatric Patient, covering background paediatric information. Part 2 - An Approach to Diagnosis, covering important and common problems and symptoms as they present to the doctor. Part 3 - Key Paediatric Conditions, covering approximately 50 key paediatric conditions that medical students are required to know under the new curriculum.